Here’s to another jam packed day in the books! We started it off with an early breakfast and then we were off to Mr. John and Mrs. Janet’s to put in another hard day of work. We did some more de-shingling and finished the underlayment on half of the roof. Though the weather was cold and wet this morning, it eventually warmed up by the time we were having lunch. Jamming out to “Walking in Memphis” by Marc Cohn (our anthem) helped keep us distracted from the weather and focused on our goal. We made great progress and will be starting re-shingling tomorrow. Looking forward to a warmer Thursday! 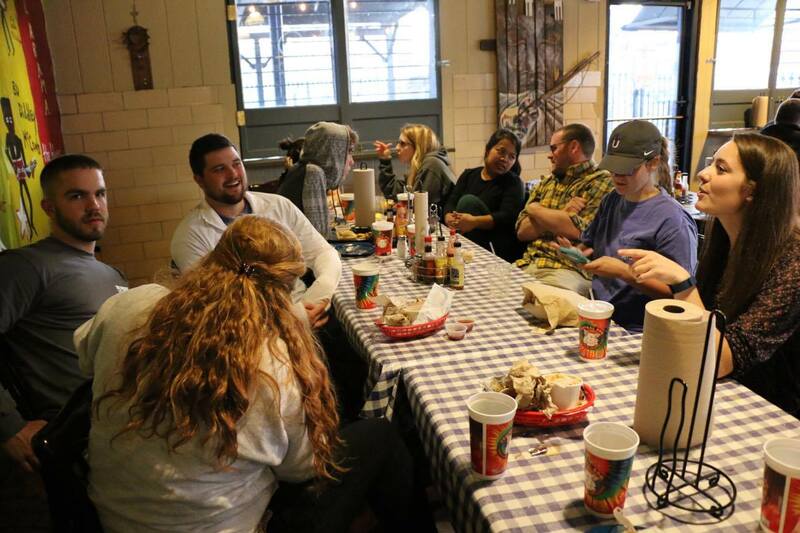 For dinner we headed out to Central BBQ, to finally hear what everyone had been raving about! Now this was some GOOD food, let me tell y’all. The brisket was to die for, the pulled pork was scrumptious and the ribs were phenomenal. We took our time to enjoy the atmosphere of the restaurant and relax in the presence of our team. 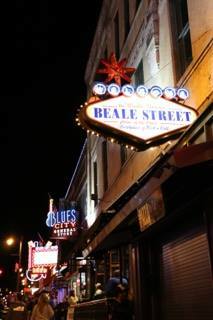 Our last stop was the world famous Beale Street! 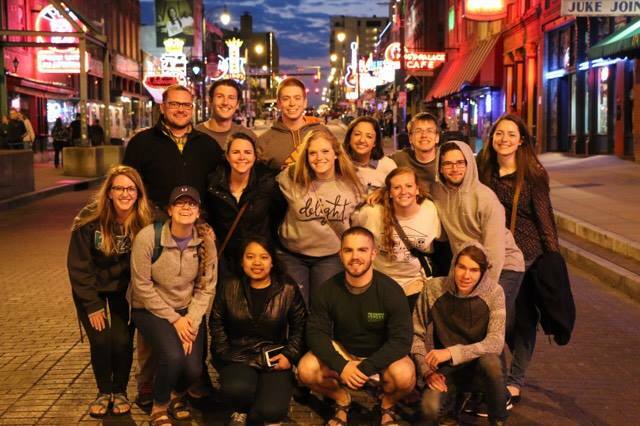 It was so fun to walk around, people watch, and soak up the culture of this lively place. Lucky for y’all, I am the groups photographer so here I will include some picture’s to do the talkin’. Thanks for reading this and please continue to pray for our team as we push through the second half of this week! We hope to make great progress and continue to get to know Mr. John and Mrs. Janet even better! 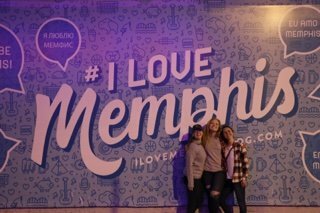 This entry was posted in 2017, Memphis 2017 and tagged Beale Street, Central BBQ, Day 4, Memphis, Spring Break. Bookmark the permalink.